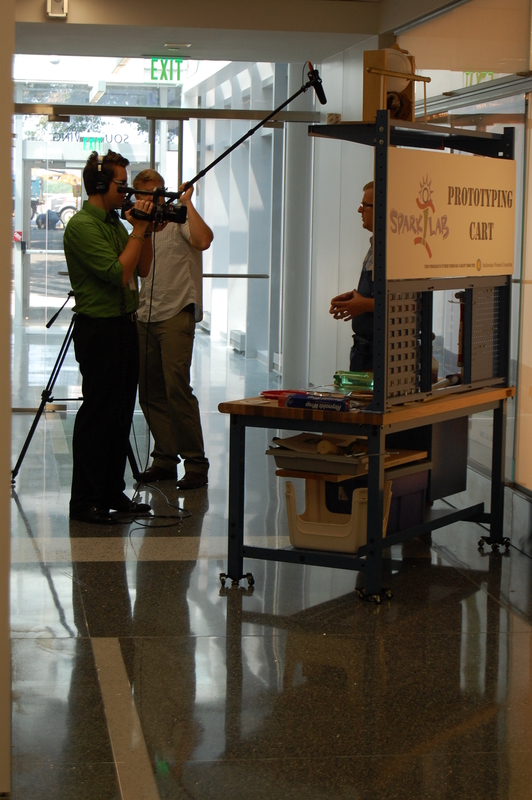 Kevin Borow with Matt RIngelstetter filming a Spark!Lab video at NMAH. The Lemelson Center for the Study of Invention and Innovation: “Such a long name,” I thought, when reading the list of internships offered through American University’s School of Communication’s Dean’s internship program. Little did I know, such a big name translates into big things going on here at the National Museum of American History. For an office that is planning its own exhibition in the Museum (set to open in 2015), runs a program inspiring young people to invent and innovate, and has published several books (look for another to be published in September), all the while coordinating interns and fellows to conduct research, one would never fathom this office consists of about 15 people. The employees of the Lemelson Center are a unique group. Educated in fields from history to new media, they are a huge contributor to the Smithsonian and the National Museum of American History. And for the summer of 2012, I was able to count myself as one of them. As a junior at American University studying film and business, I was humbled by the opportunity to intern at the Smithsonian during my first summer staying in D.C. I was treated as an employee, given responsibilities that actually held weight in the office, a rare occurrence in the life of the unpaid intern. I learned motion graphics and edited promo videos to be shown to other museums. I filmed Rodney Mullen, a pro skateboarder on the same level, if not above that of Tony Hawk and Stacy Peralta. Actual employees of other institutions don’t even get to have this much fun! 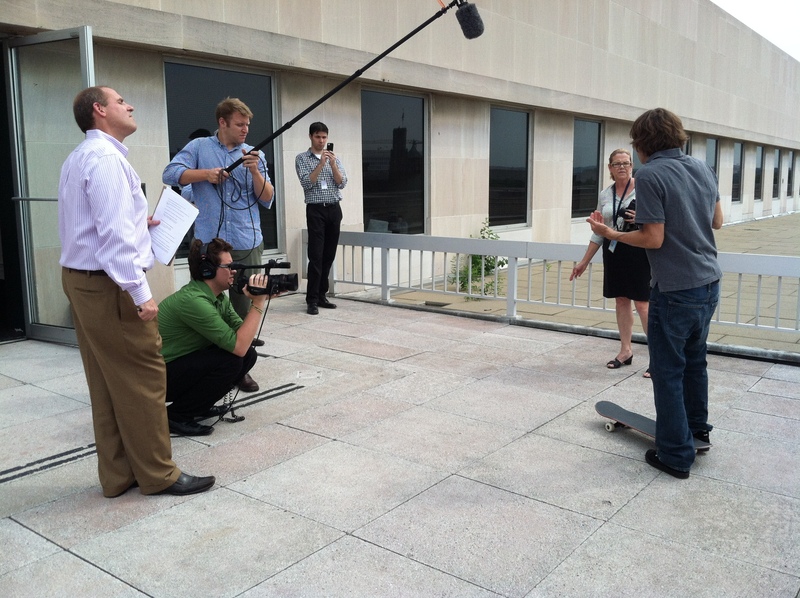 Kevin Borow mans the camera at the Rodney Mullen interview. Photo by Laurel Fritzsch.